Distribution transformers are very efficient, with losses of less than 0.5% in large units. Smaller units have efficiencies of 97% or above. It is estimated that transformer losses in power distribution networks can exceed 3% of the total electrical power generated. In India, for an annual electricity consumption of about 500 billion kWh, this would come to around 15 billion kWh. 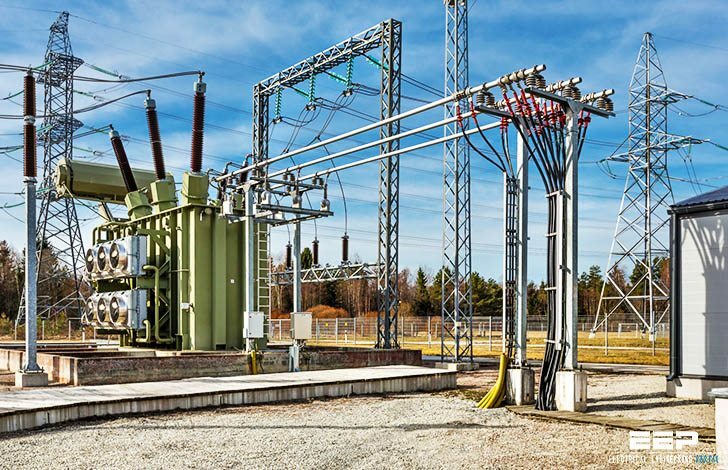 Reducing losses can increase transformer efficiency. There are two components that make up transformer losses. The first is “core” loss (also called no-load loss), which is the result of the magnetizing and de-magnetizing of the core during normal operation. Core loss occurs whenever the transformer is energized; core loss does not vary with load. The second component of loss is called coil or load loss, because the efficiency losses occur in the primary and secondary coils of the transformer. Coil loss is a function of the resistance of the winding materials and varies with the load on the transformer. In selecting equipments, one often conveniently avoids the concept of life cycle costing. But the truth is that even the most efficient energy transfer equipment like a transformer, concept of life cycle cost is very much relevant. The total cost of owning and operating a transformer must be evaluated, since the unit will be in service for decades. The only proper method to evaluate alternatives is to request the manufacturer or bidder to supply the load and no-load losses, in watts. Then, simple calculations can reveal anticipated losses at planned loading levels. Frequently, a small increase in purchase price will secure a unit with lower operating costs. The load profile of electronic equipment from the computer in the office to the variable speed drive in the factory-drives both additional losses and unwanted distortion. Since transformer manufacturers test only under ideal (linear) conditions, a substantial gap exists between published loss data and actual losses incurred after installation. 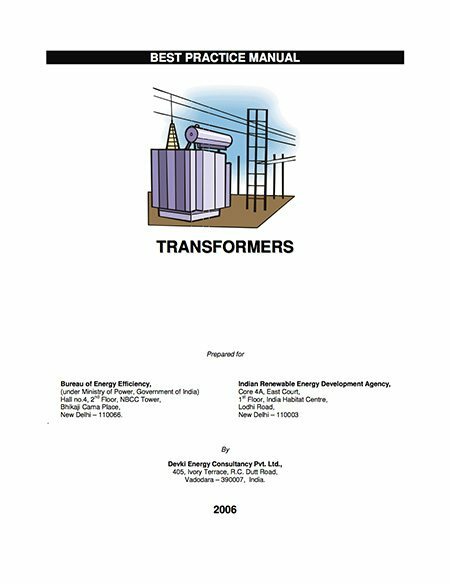 This Best Practice Manual for Electric Transformers summarise the approach for energy conservation measures pertaining to selection, application and operation of electric distribution transformers. Chapter-1 – Introduction – Background and Guide to this guide. Chapter-2 – Discusses principles of transformer action, description of losses and effect of non linear loads on transformer efficiency. Chapter-3 – Discusses design aspects of transformers to improve efficiency. Chapter-4 – Discusses loss Minimisation in application and operation. Chapter-5 – Discusses principles of economic evaluation of transformers. Chapter-6 – Discusses case studies from Indian and International scenario Annexures are given to familiarize the users with the installation and maintenance of transformers. The details of design methodology and the varied approaches for materials, construction are not in the scope of this manual. However, some theoretical aspects are discussed where ever deemed fit. I have been trying to register for premium membership without success. Can I know how to go about it, since my sister was to effect the payment from the USA. Dear sir, We need Transformer capacity to run 6 no,s of 1000 KW ,6.6 KV of V.T pumps at a Time. Please replay soon to my quary. thanks 4 your efforts exerted with us ..